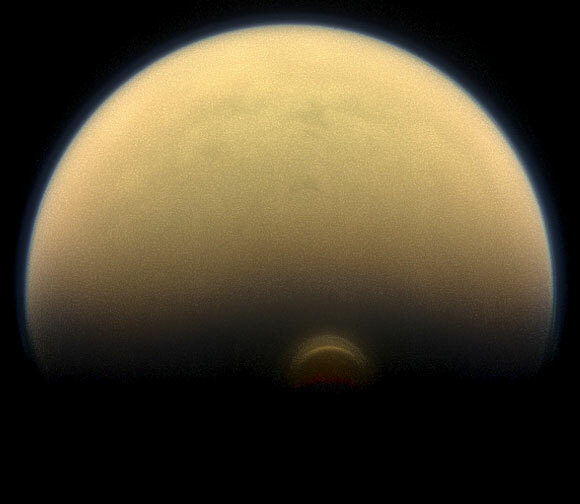 NASA’s Cassini Spacecraft has detected a monstrous new cloud of frozen compounds in the Titan’s low- to mid-stratosphere – a stable atmospheric region above the troposphere, or active weather layer. The new observations made near the south pole of Titan add to the evidence that winter comes in like a lion on this moon of Saturn. Anderson is presenting the findings at the annual Meeting of the Division of Planetary Sciences of the American Astronomical Society at National Harbor, Maryland, on November 11. 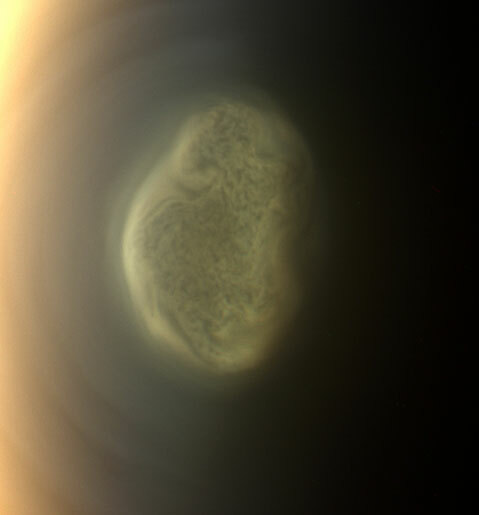 Be the first to comment on "Cassini Reveals Monstrous Ice Cloud in Titan’s South Polar Region"